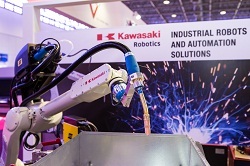 Kawasaki Robotics – The Solution! As a pioneer of Robotics with 50 years of experience in industrial robot automation, we can offer a wide range of robot applications for all industries. Our robot range is covering payloads from 3 kg to 1.500 kg. Our expertise includes, spot & arc welding, handling, assembling, robot palletizing, packaging, machine tending, loading & unloading, press tending, painting, sealing, gluing, deburring, grinding, polishing, washing, wafer handling, clean room applications. 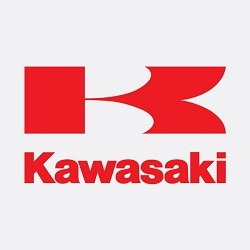 The Kawasaki Robotics GmbH is an overseas branch of the Kawasaki Heavy Industries Ltd., Japan. Responsible for the EMEA area. It is the European headquarter and organizes the distributor network for Kawasaki Industrial robots. The German sales organization is also located here including Service and Engineering departments. As a special customer service we are keeping a permanent robot stock to secure shortest delivery time.